I'm 5'9 inches. Sometimes when people meet me in person they are surprised I'm tall. In addition I have a gravely voice which also tends to elicit a few comments. Ali Edwards' passion resides in that very special place where the stories and images of life intersect. 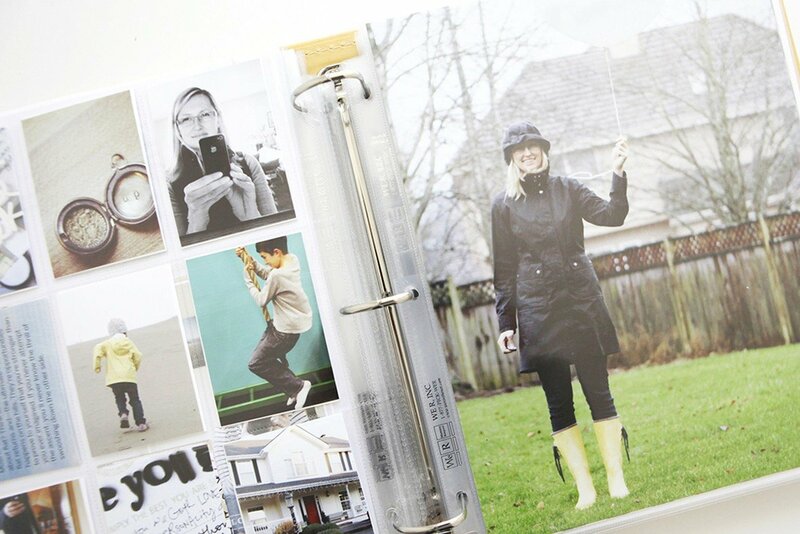 Designer, blogger, workshop instructor, and author of four books about memory keeping, Ali is well known for authentically capturing everyday life with photos and words and creating memory keeping projects from those moments that pass by in an instant. Guided by simple principles such as not making things more complicated than they need to be, focusing on the things that matter most and embracing imperfection, Ali Edwards is proud to be a work in progress. She believes without a doubt that there's no right or wrong way to do all this, that the real stories are worth telling, and there's a whole lot of celebrating to do even in the midst of the challenging pieces of life. Since 2004, Ali Edwards blog, workshops and memory keeping projects have inspired tens of thousands of people to share their own stories and enrich their own lives through the process. Ali lives in Eugene, Oregon with her two children and their cat George Washington.